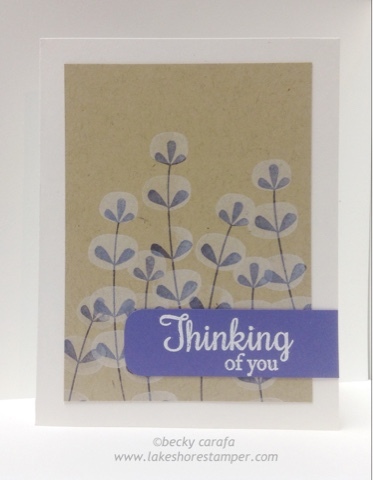 I stamped the stems in lavender fields ink, then stamped the "flowers" on top in white ink. I love this look! The sentiment is embossed. Beautiful because of its simplicity. Love the colors you used. Really pretty card!